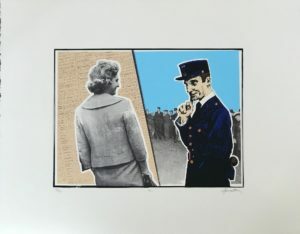 This screen print is one in an edition of 90 and was printed on BFK paper using Speedball and Jacquard inks. It was produced in the screen printing studio on the EOU campus. 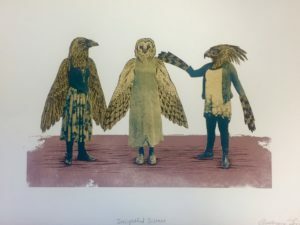 The artwork was created by EOU Art Major Audrey Lind with printing assistance from current EOU student Hannah Smith and Susan Murrell, Associate Professor of Art. Thank you for supporting Art Center East with your membership! Congratulations! You have just collected the 2017 ACE Annual Membership Print. 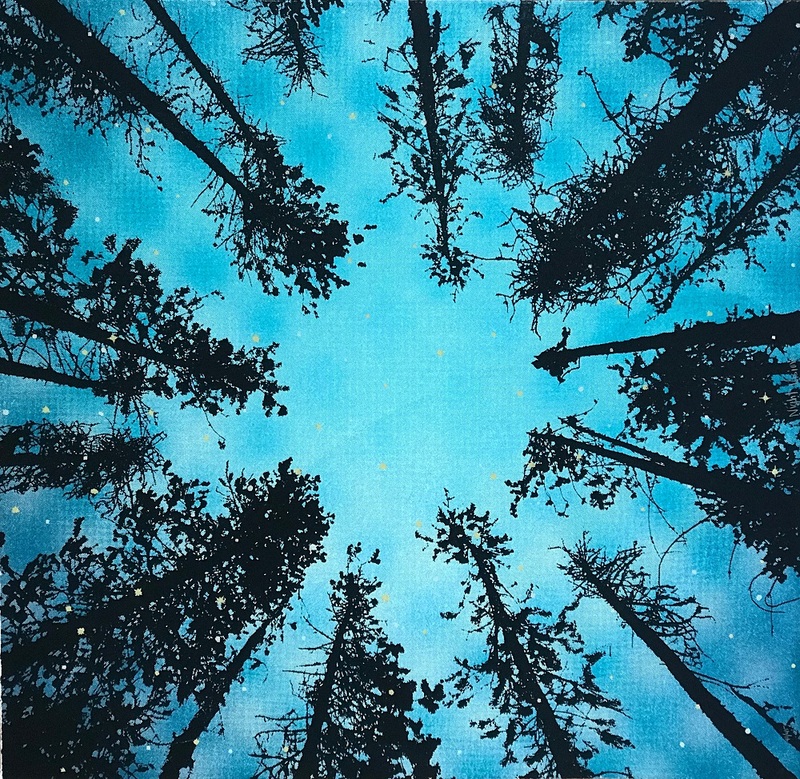 This screen print was created by Eastern Oregon University’s Art Department in an effort to support Art Center East’s important art education and exhibition programming. Every year a current EOU art major or alumnus designs an image which is then printed with assistance from current students and Susan Murrell, Associate Professor of Art. This project gives student artists a chance to work collaboratively and gain experience with larger edition numbers than is often possible within the curriculum. This year’s print was designed by EOU art alumna Donni Later. Donni graduated from EOU in 2016 with a degree in both Art as well as Media Arts and Communication. She recently exhibited her art work at Pierro Gallery of South Orange in New Jersey. Upon graduation she founded Point Prominence Press, a screen printing and graphic design company serving the Grande Ronde Valley. This screen print is one in an edition of 45 and was printed on BFK paper using Speedball and Jacquard inks. Congratulations! You have just collected the 2016 ACE Annual Membership Print. 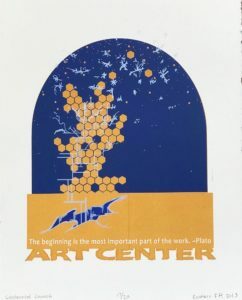 This screen print was created by Eastern Oregon University’s Art Department in an effort to support Art Center East’s important art education and exhibition programming. Every year a current EOU art major or alumnus designs an image which is then printed with assistance from current students and Susan Murrell, Associate Professor of Art. This project gives student artists a chance to work collaboratively and gain experience with larger edition numbers than is often possible within the curriculum. 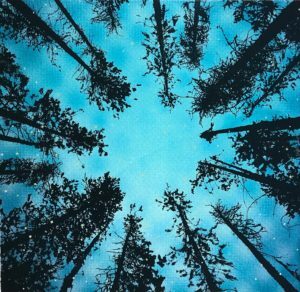 This year’s print was designed by EOU Art major Genevieve Gaudreau. The work features an image sourced from the Eastern Oregon University Pierce Library Archive within the collection of EOU Historical Photos. It was either taken in 1948 or 1949 at the Ackerman Training School. The photo depicts an Eastern Oregon student in the Education Program supervising children in an art class. A special thank you to Pierce Library for developing and maintaining this important digital resource for our community and specifically librarian Katie Townsend for her assistance with this project. This screen print is one in an edition of 70 and was printed on Natural American Master’s paper using Speedball inks. Congratulations! You have just collected the 2015 ACE Annual Membership Print. This screen print was created by Eastern Oregon University’s Art Department in an effort to support Art Center East’s important art education and exhibition programing. Every year a current EOU art major or alumnus designs an image which is then printed with assistance from current students and Susan Murrell, Associate Professor of Art. This project gives student artists a chance to work collaboratively and gain experience with larger edition numbers than is often possible within the curriculum. This year’s print was designed by EOU art alumni Joshua McDonald. 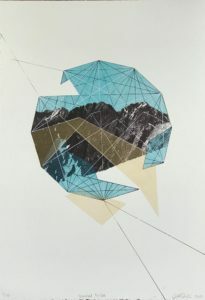 Joshua graduated from EOU in 2015, The work features an image of Sacajawea Peak in the Wallowas, Eastern Oregon. This screen print is one in an edition of 110 and was printed on Natural American Master’s paper using Speedball and Jacquard inks. Congratulations! You have just collected the 2014 ACE Annual Membership Print. This screen print was created by Eastern Oregon University’s Art Department in an effort to support Art Center East’s important art education and exhibition programming. Every year a current EOU art major or alumnus designs an image which is then printed with assistance from current students and Susan Murrell, Associate Professor of Art. This project gives student artists a chance to work collaboratively and gain experience with larger edition numbers than is often possible within the curriculum. This year’s print was designed by EOU Art major and EOU Information Technology Consultant James Long. This screen print is one in an edition of 55 and was printed on Cream American Master’s paper using Speedball and Jacquard inks. Congratulations! You have just collected the 2013 ACE Annual Membership Print. 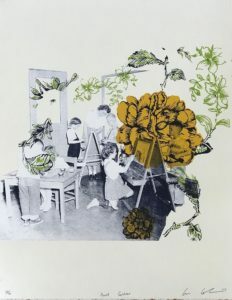 This screen print was created by Eastern Oregon University’s Art Department in an effort to support Art Center East’s important art education and exhibition programming. 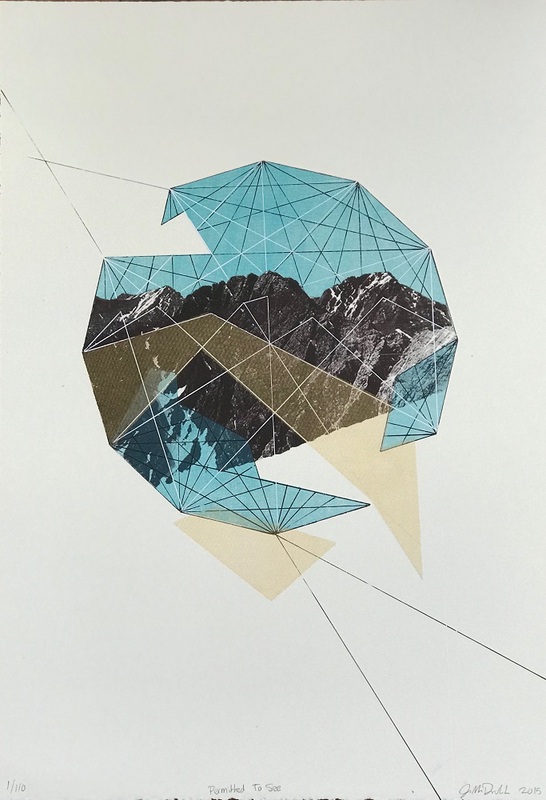 Every year a current EOU art major or alumnus designs an image which is then printed with assistance from current students and Susan Murrell, Associate Professor of Art. This project gives student artists a chance to work collaboratively and gain experience with larger edition numbers than is often possible within the curriculum. This year’s print was designed by “Eastern Fearless Printers,” of 2013. This image was designed in conjunction with the Art Center’s Centennial Launch Party in May of 2013 in La Grande, Oregon . This screen print is one in an edition of 20 and was printed on Cream American Master’s paper using Speedball and Jacquard inks.